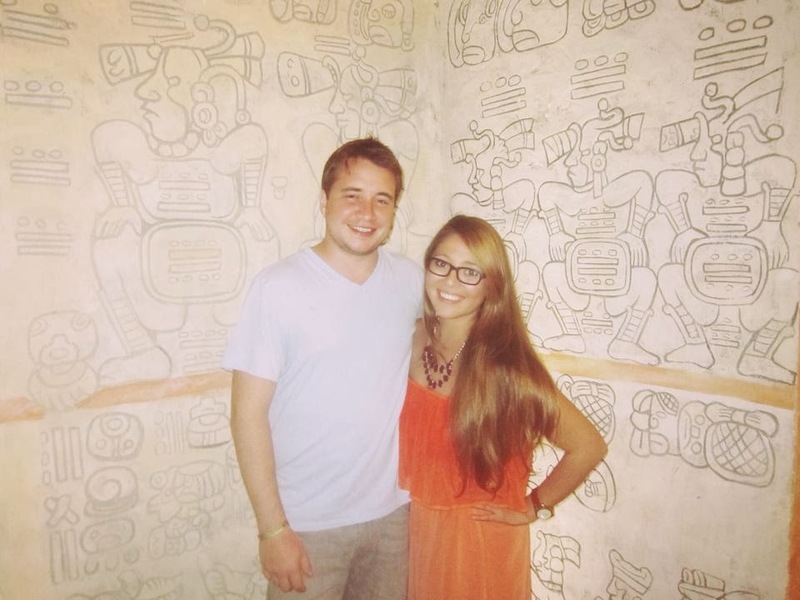 In December, I had the opportunity to travel to Playa del Carmen with my boyfriend's family. I was excited for several obvious reasons and quickly started designing a bracelet with Corinne to represent the trip. Of course, the intention of designing the Mexico bracelet was so I could give it away to someone I would meet on the trip. It may or may not still be on my wrist as I write this, but that's another story. 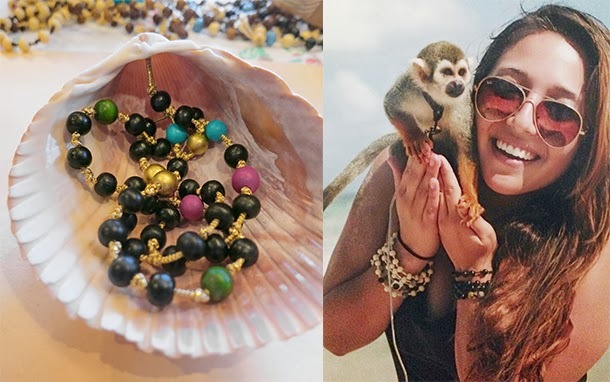 I brought every bracelet that Corinne has made me to Mexico; a girl has to have options! We ate, relaxed, soaked up the sun, played in the water and ate some more. I even got to meet a monkey named Simba. While we were laying on the beach, several of the local men would walk up and down selling blankets, hats, jewelry, sunglasses, you name it. One of the days, we decided it was time to buy some sunglasses and hats from Jorge. He was an awesome salesman and talked us into buying all sorts of goodies from him at great prices. After we talked for awhile about his family and kids, I decided Jorge had to have a bracelet. I wasn't in a position to tell him the entire Healing Knots story, but hoped that the bracelet itself would convey an appreciation for his work. 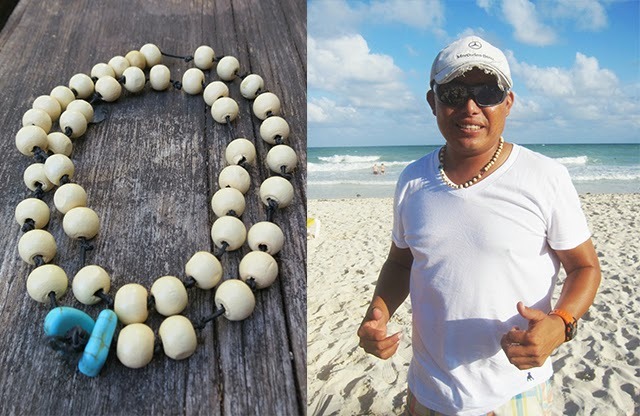 I gave him the most manly bracelet I was wearing: natural beads, black elastic, turquoise accents. He immediately put it around his neck and was so appreciative of the small gesture. My favorite part about these bracelets is their outward simplicity: wooden beads, elastic knots. But behind each bead and knot, there is a message. The message may vary from person to person, bracelet to bracelet, but the amount of joy they bring is universal.